Strong, ergonomically correct turntables maximize production while keeping energy costs at a minimum. An alternative to air caster turntables, our mechanical turntables use a slewing bearing and drive units. These tables have high weight capacities, sizes, and the ability to run extended amounts of time. if needed, due to the large size, wheels will be added in order to give the table stability. We bring you decades of experience in engineering, allowing us to help you in creating a seamless integration of your assembly needs. 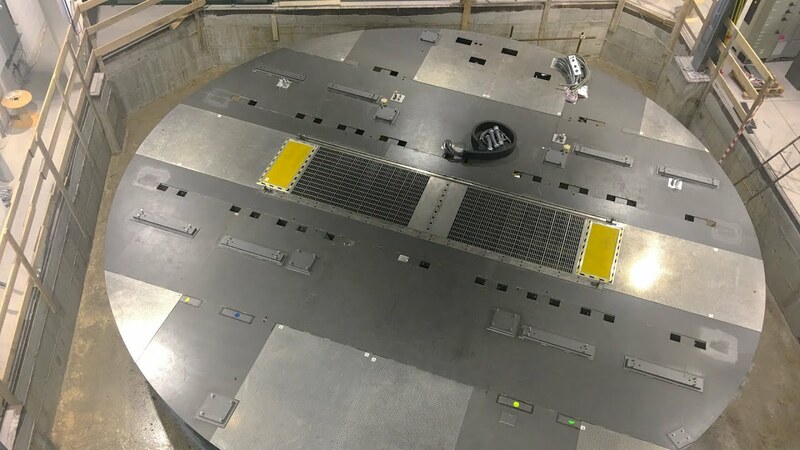 Our low maintenance design keeps the potential for downtime to minimal, like keeping the number of moving parts low and can feature an automatic lubrication system that allow for low friction operation. These turntables are also excellent for outdoor areas or areas that an air supply cannot be easily connected. High-performance bearing handling high capacity loads from 10,000 to 1,000,000 lbs and large size requirements of 3 to 100 ft diameter. 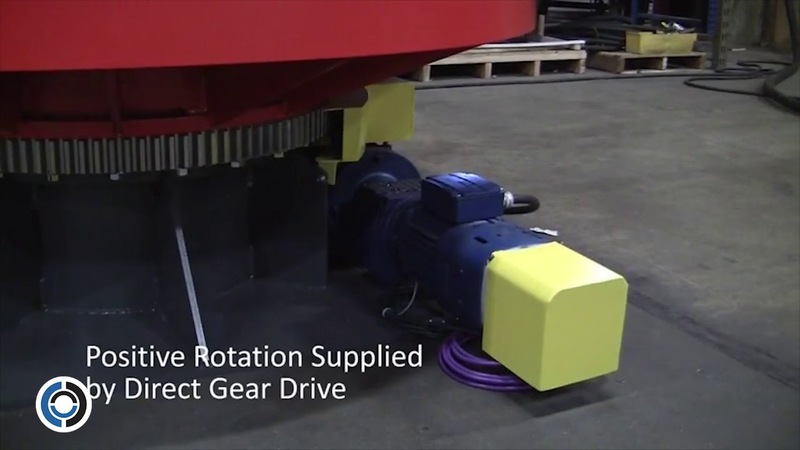 Designed to minimize wear and potential downtime with very few moving parts and can feature an automatic lubrication system that allows for low friction operation. 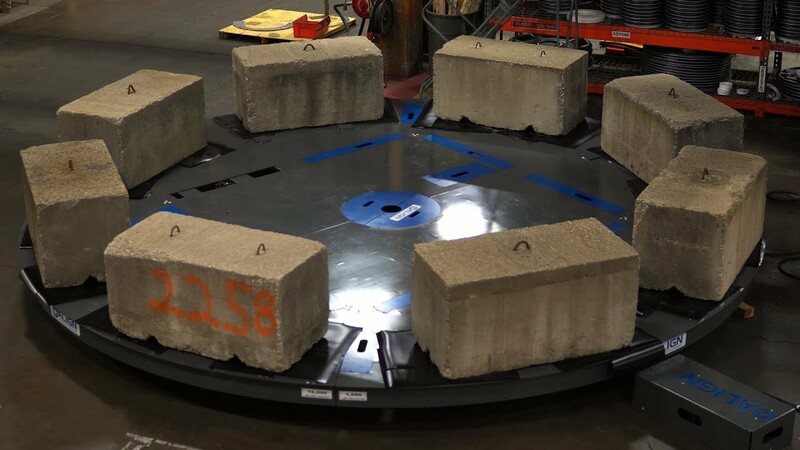 Align mechanical turntables have a weight capacity ranging from 10,000 to 1,000,000 lbs and sizes anywhere from 3 to 100 ft in diameter. We also build custom heavy duty tables for any size and load capacity, including special fixtures or load support. Our turntables are low maintenance, easy to install, and can be integrated into existing rails and robotic systems.